Bargh Shiraz is an Iranian football club based in Shiraz, Iran. The club is currently in the top Iranian football league, the IPL. Its main sponsor is the municipal electrical company. In 1946, a group of youngsters with the leadership of Ebrahim Nematollahi who worked in the Cheragh Bargh (lightbulb) factory, and loved football, decided to create a football club. The factory sponsored their team, but for the first few years the team always had financial problems. 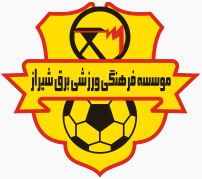 For a brief period the club was sponsored by the city council, but after a couple of years, the team’s current sponsor, Shiraz Electrical Company came along.